The REED– as double reed players we watch the weather. We travel with knives. We talk about good and bad years for cane. 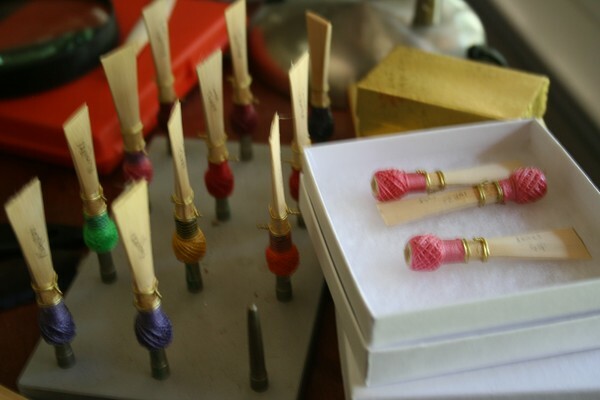 Arts and crafts (aka reed making) takes up large portions of our practice time. Because- WE ARE ONLY AS GOOD AS OUR REED! In college my professor, Kim Walker, forced me to have 3 reeds ready for performance in every lesson. At the time, I hated this! But now- This is a standard I now hold myself and my students to. Although it sounds like a lot- it has saved me more than once. At least twice a year I am called for gigs that begin in less than three hours. And two of the three hours are required for travel time. The BOX of 3 has allowed me to be prepared (No Fear) for emergency gigs. 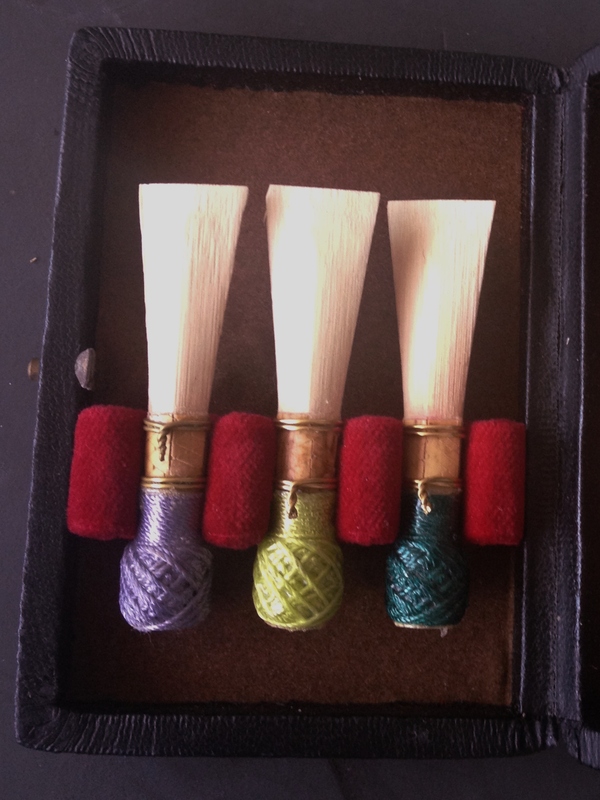 The BOX of 3 protected me when my reed died mid-performance. I believe this is one of the ONLY reasons I been successful at breaking into gigging markets in new locations. At these gigs I’ve played everything from The Nutcracker to Beethoven Symphony No. 3 “Eroica” in concert with NO REHEARSAL with major symphony orchestras. I’ve been asked to blend with wind sections down to the dynamic ppp. And find downbeats that are a full five seconds behind the conductor. The last thing I needed was to worry about was MY REED. Last December, I was called for a gig beginning in 3 hours. I quickly agreed and rushed to the performance. At the start of the day as an auxiliary second bassoonist. By the end of the day I was the new Principal Bassoonist for the orchestra. It wouldn’t have been possible without the BOX of 3, created by building a surplus of Blanks! PREPARE. PREPARE. PREPARE. Constantly Working on My Current Surplus of Blanks.